Is Your Qualified Retirement Plan All that It Should Be? 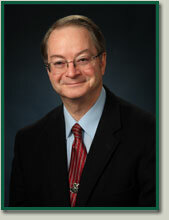 George is a Chartered Retirement Plan Specialist (CRPS™) and an Accredited Investment Fiduciary (AIF™). With specialized knowledge and technical expertise, he can help you evaluate your qualified retirement plan to help reduce expenses, improve performance, and decrease potential liability. George's decision-making process takes the guesswork out of designing and administering a qualified retirement plan. His meticulous attention to detail and due diligence eliminates costly mistakes - helping reduce administrative expenses, and trustee liability. This helps provide a stable and secure retirement plan for you and your employees. George also provides educational programs to make your trustees aware of their fiduciary responsibilities. His effective management helps ensure your retirement plan is running at peak efficiency, and in full compliance with ERISA standards and regulations. Also see our Newsletters page for more current market news. Choosing the right investments can have a major impact on your qualified retirement plan. As an Accredited Investment Fiduciary, and Chartered Retirement Plans Specialist, George has both special training and experience in helping trustees choose investments for their plan. Build a smarter retirement plan for your business - put Seattle's qualified trust specialist on your team. Call George Robertson today. Your company retirement plan is possibly one of the most important benefits your company offers. Yet few Trustees really evaluate their plan to make sure it is achieving its goals. In addition, if proper procedures have not been followed, there could be hidden liabilities that many Trustees are not even aware of. By taking time to answer just a few questions you can receive a free RETIREMENT PLAN EVALUATION to find out if your plan could be improved or if there may be some potential liabilities you should be aware of. More questions? E-mail George. He'll be happy to answer all your questions!